Elegant window coverings need to provide privacy, practicality, and durability. For this reason we provide the best quality products in shutters, blinds, shades, and window film in New York City. 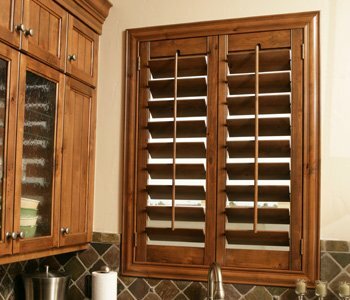 In addition, we’ll also custom craft your shutters to flawlessly fit your windows and match your taste. Take a look at all the window treatment products available to you. With more than 35 years of unmatched service and quality, we sell premium shutters you can install in your home with confidence. Plantation shutters are a favorite window treatment in New York City, because they’re energy efficient, long-lasting, and stunning. Their louvers are large and are adjusted easily to let in as much or as little light as you wish – and look charming, in all of your rooms. Polywood® plantation shutters are a composite shutter that provides added control over temperature, privacy, light, and noise. Ovation® wood shutters are enduring wood plantation shutters built from high quality teak. And reclaimed wood shutters are made from certified upcycled wood harvested from fences, buildings, and barns. It’s true that one shutter doesn’t fit all windows. That’s why we’ll take your window’s measurements and fit the shutters you pick to your home’s windows. Whether your windows are circular, octagonal, sidelights on your entry door, we build a shutter that’s a perfect fit for your specialty-shaped and unique windows. Want shutters that go with your décor? Our expert staff are ready to help you pick from our palette of paints and stains to match your rooms. Learn about your color options here. Want taking the fashionable touch of barn doors to your New York City house? Sunburst Shutters New York walks you through the process of finding the right mix of barn door styles, paints, stains, and hardware options for you. And we set it up for you instead of a door or as a window treatment. Find out more about our sliding barn doors and sliding barn door shutters. Get fashion and usability to your space with panel tracks. A better alternative to normal vertical blinds, panel tracks easily slide along a track and stack to the side of your patio door or windows. See all your options for New York City panel tracks with Sunburst. For homeowners who desire other treatments, we offer a variety of blinds and shades to cover various windows in your New York City home in style. We insist that you have a look at our blinds and shades collections that feature quality manufacturing and a wide variety of colors and styles.